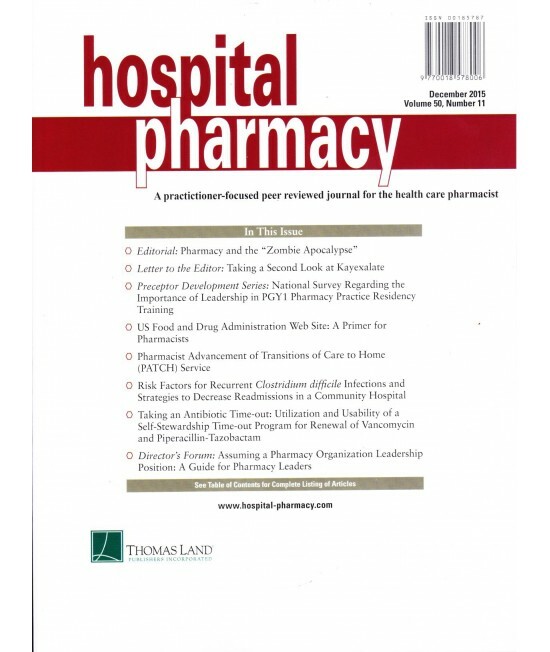 Hospital Pharmacy - Philippine distributor of magazines, books, journals, etc. For over 45 years Hospital Pharmacy has been practitioner focused and dedicated to the promotion of safe medication practice and the prevention of medication errors. Hospital Pharmacy features peer-reviewed clinical information applicable to pharmacists in hospitals and organized c and other settings where state-of-the-art practice information is required. 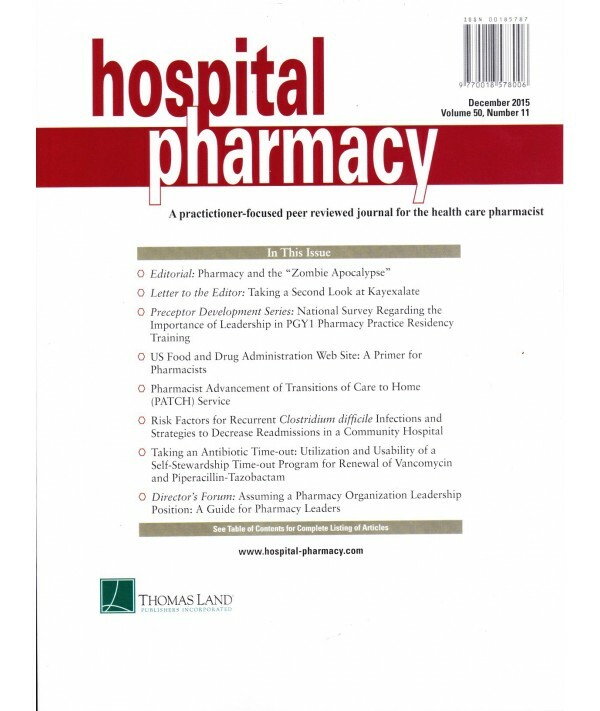 Turn to Hospital Pharmacy for essential insight into drug and disease state management, recent FDA approvals, medication error and adverse reaction reporting, automation, medical usage evaluation, and governmental regulation. 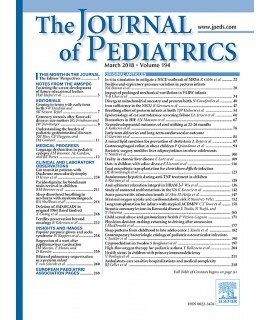 Because of its focus on high-quality, relevant content Hospital Pharmacy is the most read journal among health system formulary committee members. 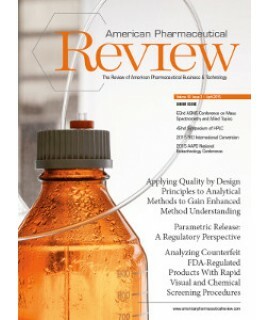 This focus will continue to be at the core of Hospital Pharmacy’s purpose.